Star of the European Space Agency’s Rosetta Mission, lander Philae faced Comet 67P/Churyumov-Gerasimenko with stoic determination. November 12, 2014 dawned with realization of Rosetta’s 10 year, 6 billion kilometer journey to travel in unison with 67P. 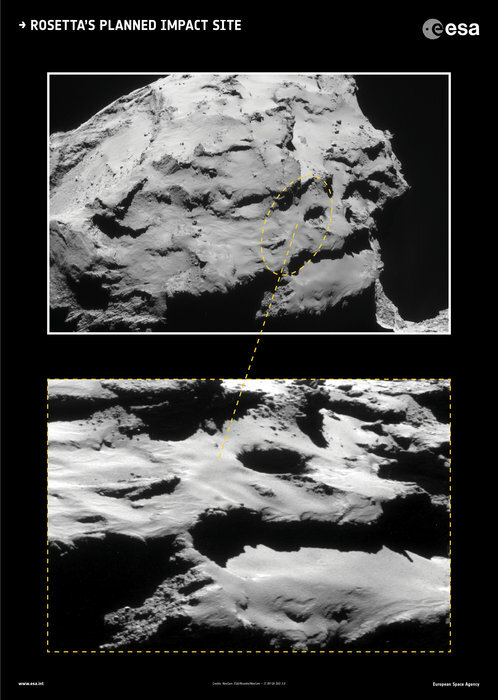 A day defined by Rosetta’s singular purpose – deploy lander Philae to the surface of comet 67P. Oh Philae, how could you anticipate a faulty thruster, or fathom a legacy defined by malfunctioning harpoons? 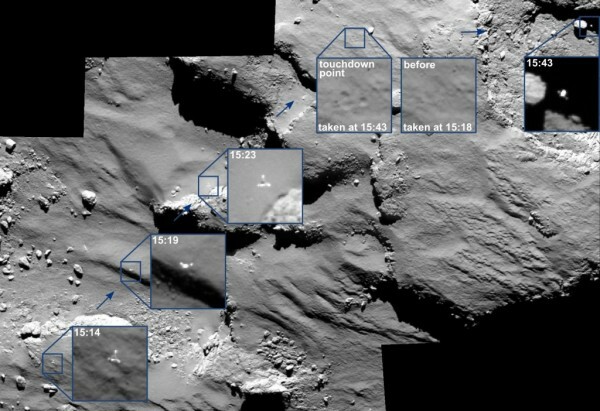 Undaunted by cataclysmic failure of comet securing tethers, Philae capped seven hold your breath hours of descent with a kilometer high bounce. Stay the course determination erupted from the tenacious little lander. 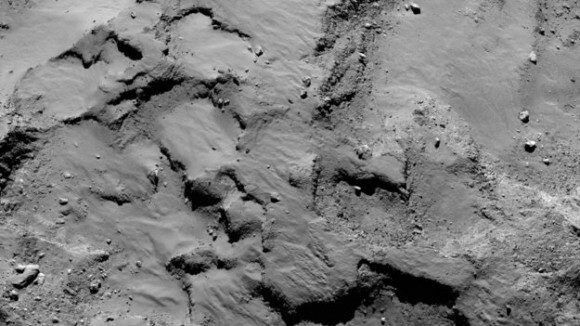 Rosetta Mission ordered a landing, Philae gave them one. A kilometer off course, hopelessly sheltered from energizing solar panel sunlight, Philae faced mortality with honor and purpose. Born 510 million kilometers from Earth, Philae lived 64 hours. From deployment to failure of primary batteries, Philae managed to complete 80% of mission objectives. Detailed surface images, samples of organic compounds, environment and surface properties of Comet 67P. The evening of November 14-15, 2014 Philae drifted into deep sleep. Not ready to forsake the feisty lander, optimism waited for perihelion (closest orbit of 67P to the Sun ) on August 13, 2015. Approaching perihelion, between June 13-July 9, 2015 Philae made 7 valiant attempts to transmit data. Silent since July 2015, coupled with uncertainty of Philae’s location in light of dynamic changes in 67P’s surface, and consensus solar panels are likely covered in space dust – led to signing Philae death certificate on February 12, 2016, announcing no further attempts to contact Philae. Rosetta’s little lander that could is gone, but not forgotten. RIP Philae, you served humanity beyond wildest expectation.